Paso Fino Horses in Color ! Pasotiempos Blue Eyes has a very quick pleasure gait. Trained by Nationally known Paso Fino Trainer. Blue Eyes is a "double dilute" and can not produce bay or chestnut. Wonderful disposition, quiet and willing and very people oriented. Blue Eyes has the coveted "de Vez" lineage and his sire's lineage (Patriot de Vez) traces back to Coral Lace, Corito de Vez and Corito on his sire's side. Blue Eyes dam has Contrapunto and Lunares lines. Blue Eyes lineage is the best of the best in Paso Finos. His disposition is very respectful and loving. Stud fee $750.00 and mare care is $5 per day. AI is also available. 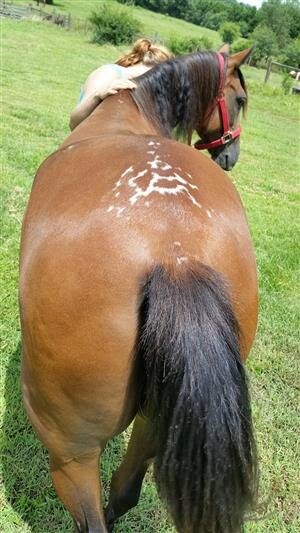 Big and sweet Cremello Stallion. Excellent lineage that includes Coral Lace, Duque, Don Danilo, Majestuoso, Juan Juan, Apache de Ventura, Ladrillo and Guala. Venganza de dios is smart, athletic with a flashy gait. No foals on the ground yet. Expect him to produce very nice disposition and large foals with excellent pleasure gait and endurance type performance. 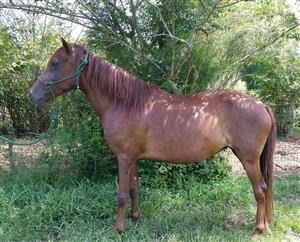 Stud fee $750 and mare care is $5 per day. AI is also available. Registered with the Pure Puerto Rican Paso Fino Federation of America, Inc.
Scarlet is a beautiful Paso with a quiet personality and affectionate nature. Pleasure gaited with good conformation and very nice largo gait. Filly is already 14.2 hands at 5 years old. Scarlet as a foal Video July 29 2012 Horseplay ! Flamente is a very bright red dun Paso with a quiet personality and nice pleasure gait. Old and rare Cerezo lineage. Mare is not spooky at all. Saddle trained years ago however will benefit from a 30 day refresher course. Flamente is 14.1 hands. "Sweet Pea" is such a nice mare with a wonderfully smooth gait. She is very easy to ride and also a very good broodmare. Easy keeper. Nicely pleasure gaited like her famous sire, Santana del Cardo, she is very smooth and is just an all around gem. BRED TO CHEK MI OUT FOR A 2018 FOAL. Marchwind Encantada - aka "Candy"
Nicely gaited mare with a wonderful temperament who has been lightly ridden in the past. Professionally trained and easy to ride. Flat walks when asked, very sensible, soft and easy gait and goes on a bosal. Easy going mare on a trail ride and she likes people. Ensueno de Colombia, Belmonte & Hilaches in her lineage. Munequita de M&M "Mona Lisa"
Capuchino daughter who is extremely tight gaited as was her famous sire. 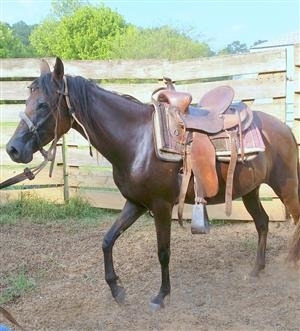 Very sweet and laid back mare with a super smooth gait and just overall nice personality. Has had 3 foals. Very sensible mare with common sense and intelligence as well as a willingness to learn. Luz was trained for trail riding and is a good trail mare. Not spooky. Will lead on the trail. Build on this mare is wonderful. Her sire was a Bella Forma Champion. 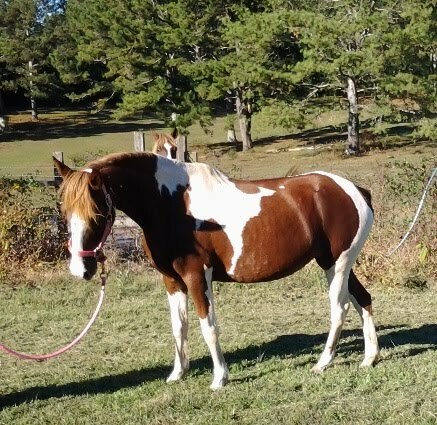 Large build Seal Bay Tobiano Mare producing large easy going foals. Mare is not broke to ride. Bred to Pasotiempos Blue Eyes (Perlino) for a 2017 foal. Very tall and elegant bay gelding. Should mature close to 15 hands. Nicely pleasure gaited. Quiet personality. $2000. before training. $3500.00 after professional training. Expect to train him in the Spring of 2019. Azucar en Tostada - "Sugar"
Great trail and show mare. Wonderfully soft and smooth gaited with lots of controllable brio. Sugar has produced three very nice colts - Maestro, Spirit and Tejas. One of the most fun horses I have ever had the pleasure of riding. 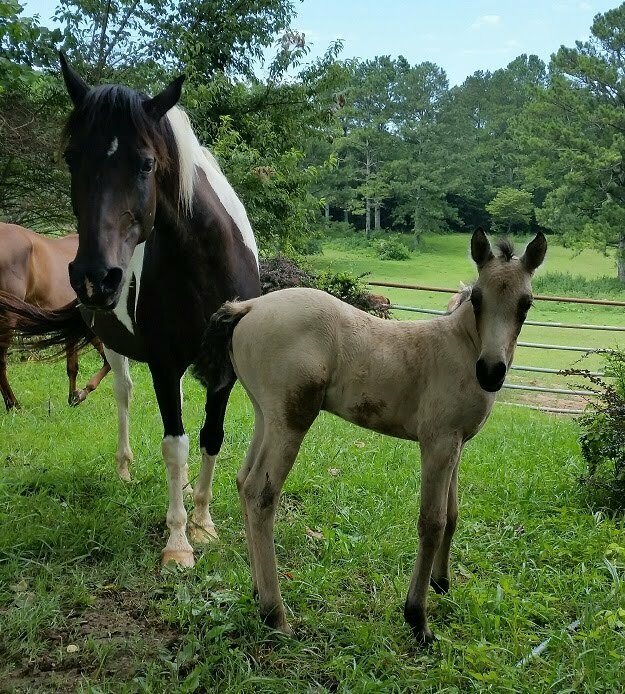 Want to know what Color your foal might be? Try the COLOR CALCULATOR !